Many new homes and house renovations require structural steelwork. We can design, fabricate and erect steel framework for your project. With our comprehensive range of fabrication tools, we can offer you the full service; from finalising your design; preparing workshop drawings for fabrication; processing the steel using a fully cutting and drilling line. 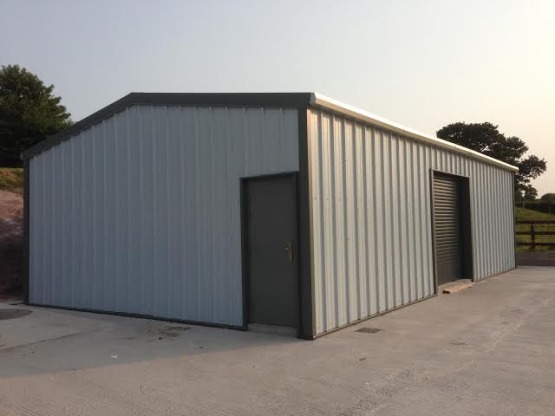 Our qualified welder fabricators then weld and assemble steel components with the project completed to a painted or galvanised finish, all in compliance with building regulations and industry standards; all within an agreed time frame. If you need a machinery shed, workshop or large garage for your classic car collection we can design and fabricate steel structures for your requirements. Designed to the customer’s specification, the steel frames are manufactured in Stroker Fabrications workshops before being delivered in a kit form, ready to assemble with all components and detailed erecting instructions. Once again everything is produced in compliance with industry standards and building regulations. To complete the service to our customer, we offer a full fitting package by our qualified installation team.